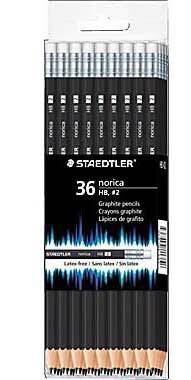 Which pencil is best for sketching and drawing cartoons? This is a question with many answers depending upon what you want to draw and your preferred method of sketching and cartoon style. The humble pencil has come a long way since the discovery of a deposit of pure graphite at Borrowdale, Cumberland, England in 1564 and has developed into wood encased graphite clay and metal/plastic propelled pencils in a variety of hardness/softness ‘leds’ It is virtually impossible to review them all but I will give you my choice of the best 3 pencils based on over 50 years of cartooning and other customer and artists reviews. 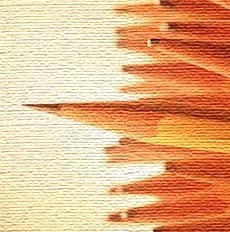 I am only recommending three pencils (one mechanical and two conventional) as I have not tried any others over a reasonable length of time and I want to give you my best advice. My first choice is the LAMY Safari mechanical pencil which has great 0.5mm nibs and is the number one recommendation I give when I am asked what is the best pencil for sketching. The barrel grip is shaped so that there are two flattish surfaces for your thumb and fingers and it is so comfortable that you almost forget its in your hand. 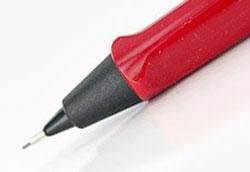 I use LAMY both in mechanical pencil and pens simply because of this feature. If you draw for long periods of time you will know exactly what I mean when you start to get ‘cramped drawing hand’ where the pen or pencil becomes really uncomfortable. I don’t get this problem with a LAMY in this ergonomic design. Another nice feature is the pen clip which looks good and keeps the pencil very secure in your pocket. The pen has a removable top with the spare nibs in a secure chamber topped with a small eraser. I don’t use the eraser as it is a bit small for larger areas, although it is very precise for the removal of small pencil marks. I also use conventional wooden pencils and normally go for the middle of the road in terms of hardness/softness with a #2 (American classification) or the equivalent HP (English classification). This provides the best of both worlds for me in terms of definition of line with some softness which is easy to erase at the inking in stage. You can easily see which pen is best for sketching in my opinion but it’s your opinion that counts and no doubt you will eventually settle on your own favorites. 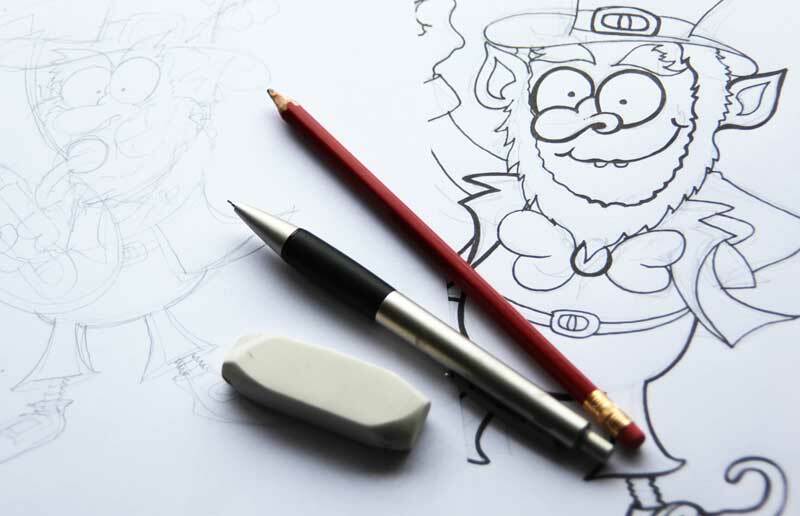 I hope I have helped you find your ideal sketching tool! How to improve my drawing skills and make money	Boogie Board LCD Drawing Pad – never forget an idea again!